It's that time of year again. Pi-Day (as in 3.14...March 14th) is right around the corner. Maile from Boutique Academia has come out with a new Pi Necklace just in time. Love this! And it comes in your choice of a gold or rhodium plated. ...or her Pi Tie Bar. All of Maile's pieces are classy enough that you can celebrate your geeky side anytime...not just on Pi-Day. You can dress them up or go casual. If you're not familiar with Boutique Academia, Maile sells all sorts of unique math, science, engineering, and geek culture jewelry designed with style in mind. It's stuff for geeks with taste, and there are all sorts of pieces to show off your love for math as the biggest math holiday of the year approaches. Maile is giving away one of her new Pi Necklaces to one lucky Helping Little Hands reader. The winner can choose between gold and rhodium plated. 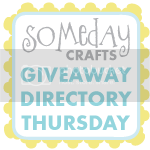 And we're going to try out using Rafflecopter for the first time to keep track of entries and give you a few more options to enter in ways that work for you. This giveaway will close March 18, 2013 at 12 am. I love your Pi-day themed posts! Thanks for hosting the giveaway! Oh, I love the pi jewelry and the Fibonacci necklaces and earrings. What a wonderful giveaway!! 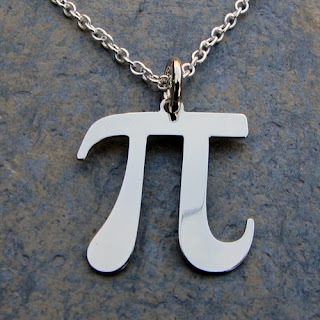 The new Pi necklace is awesome, it would go so well with my Pi Day T-Shirt! Thanks for the great giveaway! I am loving the Infinity Bracelet 2. So excited about your giveaway! Hoping to win a pi necklace. I love all of your pi day ideas, recently made matching pi day shirts for a friend and her husband, so fun! I love the binary geek messenger bag. Super cute! I bought my wife the anatomical heart necklace. She liked it because we are nerds!!! Love the necklace! Thanks for hosting the giveaway! I love the Pi necklace! The silver Fibonacci necklace is very cool, too. So many things appeal to my geeky side... but I think my favorite is the infinity bracelet. Something about being geeky and also a little bit sentimental... :) Thanks for a great giveaway! The first infinity bracelet is beautiful! Ooo Pi! My favorite number. Also, did you know there is a House of Pies in Houston, and there is a Pi symbol on the outside of the building? Good times. I am a chemistry major so this is right up my nerd ally! I love the infinity jewelry! I just got done creating my Pi Day T-shirt. A Pi necklace would look awesome with it! My favorite is the fibonacci pendant! and I love the cow pi tshirt- just sent a link to your blog post to my sister- I think we should do a cow pi thsirt for my dad who loved to throw dried up cow pies at us as kids. My favorite is the Pi to 35 Digits necklace. I've had my eye on it for over a year! I like the infinity bracelet. FUN giveaway. Thank you! I love most of the jewelry but the fibonacci stuff best!